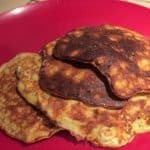 I had seen quite a few recipes for pancakes that only used an egg, and mashed banana. Occasionally a teaspoon of vanilla extract but nothing beyond that. And I was quite intrigued. Could this possibly come close to pancakes made from scratch or our go-to choice of Bisquick? 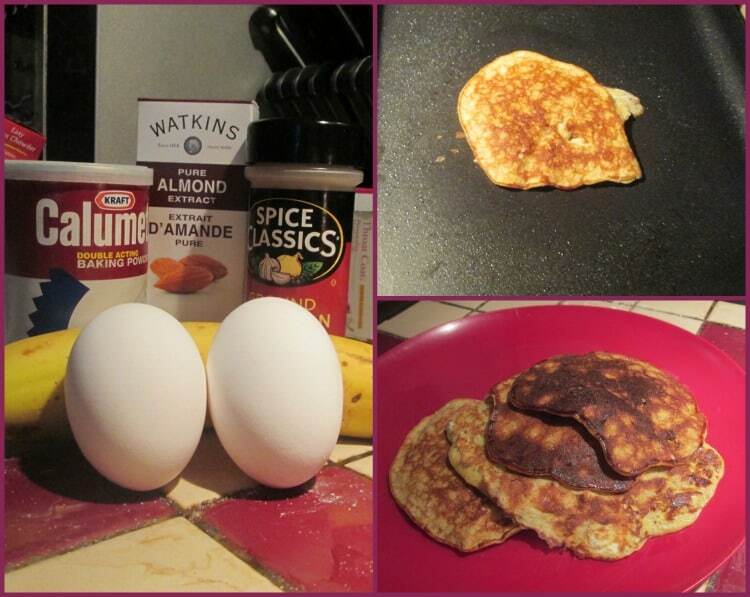 I had to find out for myself with this easy cinnamon, almond and banana pancake recipe. I am an almond lover (the type that has eaten Marzipan on it’s own) so I wanted to see if that would taste okay in this mix and then I saw the cinnamon in the cabinet and thought- why not. 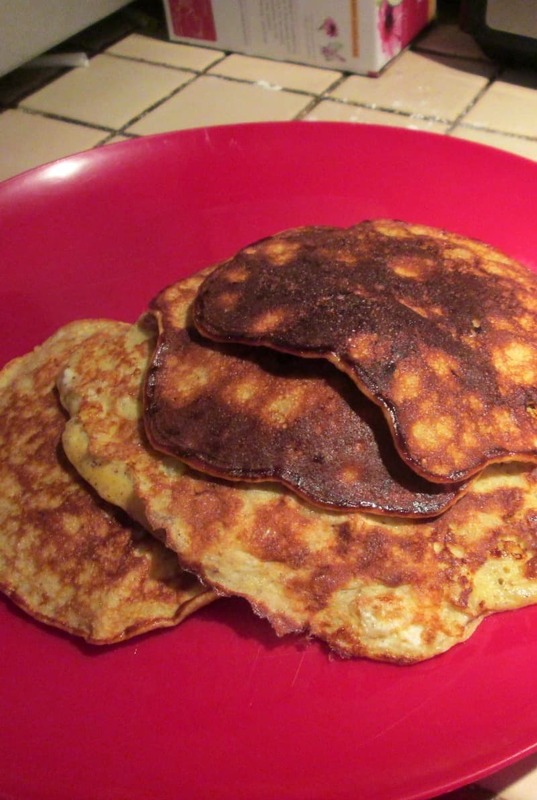 Thus, cinnamon, banana, and almond pancakes were born. Or at least in my kitchen. And that, right there, are all of the ingredients. That’s it. 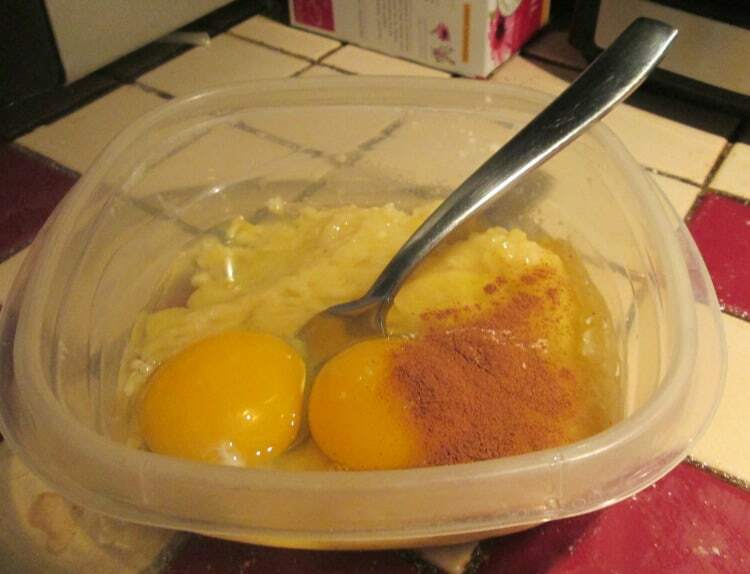 Only four ingredients though technically five if you count both eggs. But that’s it. So how could this possibly come together and make a delectable pancake? I was about to find out. I honestly could not get these in my mouth fast enough. In a small mixing bowl, mix all ingredients together until well combined. Optionally add in the sliced almonds for texture. It reminded me of French toast but in more consumable form. Not that French toast isn’t easily devoured, but this? Delicious. What I also liked about this was that, in time, Squeaker can help me make them. She loves pancakes just as much as I do, so I’m sure this will be a fun cooking project in the future. Tried this recipe and soooo good! Thank you for sharing it.